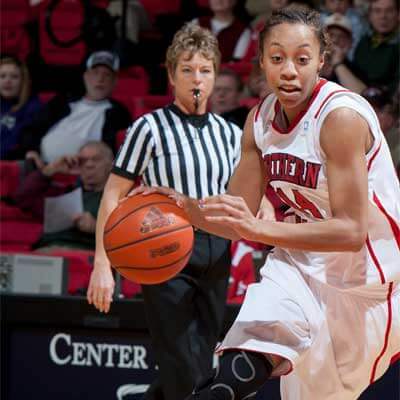 Northern Illinois employed a new look on offense that paid off in the first half but Akron’s transition game led to a key 18-2 second half run for a 63-52 win Wednesday evening at the Convocation Center in Mid-American Conference action. The Zips’ (12-4, 3-0 MAC) 9-for-18 three-point performance helped drop the Huskies to 5-11, 0-3 in MAC play. “I thought we played really well for 26 or 27 minutes,” said NIU head coach Kathi Bennett. Moving to a four-out, one-in look on offense, the Huskies opened up the game with good ball movement and open looks at the basket. NIU made 10 of its first 14 shots from the field, including a 3-for-3 effort by Amanda Corral (Hobart, Ind./Hobart) on threes. With an early 8-0 run, the Huskies grabbed a 22-15 lead. Akron, the nation’s 10th team in scoring (78.0 points per game), kept pace with NIU and ended the final 10 minutes of the half on a 16-8 run with help from four three-pointers. With just a 31-30 deficit at the half, the Huskie offense shot 48 percent from the field and held Akron to a subpar 38 percent clip. NIU had eight assists and 12 field goals along with only six turnovers. The NIU offense did not have the same rhythm in the second half, however, and the defense struggled in transition to lead to some easy opportunities for Akron. The Huskies opened up the half with the first basket to take a 32-31 lead after a jumper by Satavia Taylor (Bolingbrook, Ill./Bolingbrook/Loyola), but a few minutes later Akron zipped off for an 18-2 run to grab hold of the game and didn’t look back. During the run, NIU went 0-for-8 from the field and had three turnovers while Akron found open three-pointers and layups in transition. The Huskies fought hard until the end, closing back within nine points, 59-50, with 1:11 left on a layup by Natecia Augusta (Peoria, Ill./Limestone). But an Akron rebound off a missed one-and-one free throw for a layup in the next sequence halted NIU’s chances. 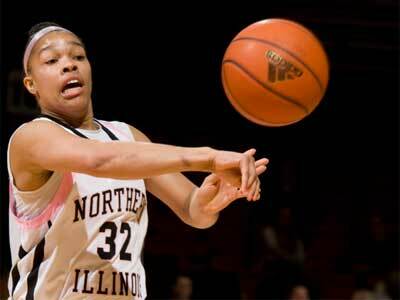 Corral led NIU with 13 points to give her double digit scoring efforts in 10 of her last 11 games. With the win, Akron avoided losing to NIU for the third straight time after the Huskies ended the Zips’ season with an upset win in the second round of the 2012 MAC Tournament in Cleveland on a last-second putback layup. The win for Akron was just its second-ever in DeKalb as the Huskies are now 8-2 all-time at home against the Zips, who improved to 7-2 on the road this season. The Huskies have a quick road trip to Central Michigan before hosting two more home games. NIU will take on CMU in Mount Pleasant, Mich. at 1 p.m. CT Saturday, Jan. 19.